A&E Machine Shop, Inc. services most industrial fabrication, rebuild and repair needs. AA&E Machine Shop, Inc. services general industry and specialized industries such as foundry, power generating, wood products and steel. Services include fabrication, machining, repair, rebuilds and reverse engineering. A&E Machine Shop, Inc. has worked with foundries in Texas and Louisiana rebuilding and repairing production equipment. A&E's staff will work with customers to rebuild and restore equipment to original specifications. Projects include the manufacturing of HVAC ductwork, mixing toughs, mixing blades (rebuild and new), rollover/draw repair, vibrating conveyor frames and decks and pouring ladles (rebuild and new), shakeouts and sand coolers. 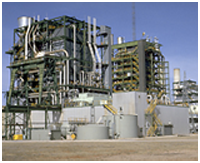 A&E Machine Shop, Inc. has worked with fossil fuel generating plants such as Luminant Generation Company LLC, AEP/SWEPCO, Texas Genco II, LP and Western Farmers Electric CO-OP to provide both new and replacement parts. 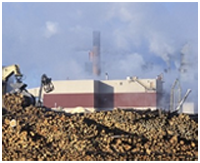 A&E Machine Shop, Inc. has been fabricating and repairing wear parts for gas, lignite and coal-fired electric utility generating plants since 1973. 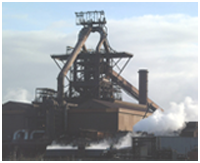 A&E stocks, as well as fabricates with HARDOX 400 and 500 plate for coal chute, pulverizer wear parts and screw conveyors. A&E Machine Shop, Inc. works with all sorts of small, medium and large businesses to provide both new manufactured parts and to repair existing parts. A&E will also work with customer to duplicate existing parts in order to provide both a second source and, with the use of HARDOX, a superior part. A&E Machine Shop, Inc.’s craftsmen specialize in steel and sheet metal fabrication and custom metal fabrication of all types and specifications. 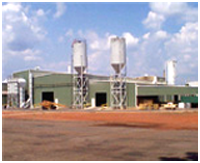 A&E Machine Shop, Inc. provides extensive services to the Pulp and Paper Industry. A&E does a significant business in the fabrication, erection and maintenance of stainless steel plate, duplex stainless steel, and carbon steel plate storage tanks. 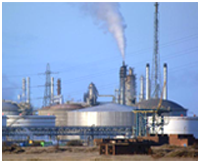 Additionally, A&E provides a wide variety of process tanks and pressure vessels. From plate rolling and brake press capabilities, to CNC machining and plasma cutting, A&E is fully prepared to get the job done right. Steel Mills throughout a four states area have depended on A&E Machine Shop's expertise in machine and fabrication. Our shops are prepared for daily maintenance, shutdowns or capital projects as required. Additionally, A&E Machine Shop, Inc. has the crane, trucking and rigging capabilities for the delivery and installation of the finished product.